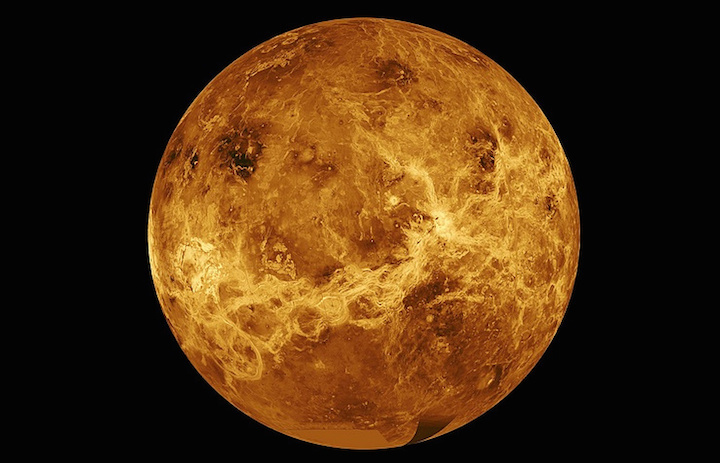 Russia’s federal agency for scientific organizations FANO and the Space Research Institute of the Russian Academy of Sciences will draft a comprehensive program for launching a space probe to Venus, FANO’s press-service told TASS on Monday. "A comprehensive program for research on Venus and for creating an interplanetary station there is being developed. The first concept conference with participants in the Venera-D (Venus Long-Lived) has been held. The Russian Academy of Sciences’ Space Research Institute has been appointed as the program’s leader," the source said. The program’s timeframe is unclear for the time being. "The work on the program is at the initial phase. We will be able to disclose the deadlines only after an official document has been adopted. The program will be repeatedly discussed by scientists and organizations concerned first. It will be possible to discuss specific tasks after that," the press-service said. Earlier, Space Research Institute’s researcher Lyudmila Zasova said that Venera-D would consist of an orbiter and descent module transmitting data non-stop. The orbiter will remain operational for three years. The landing module will last on the surface of Venus for two hours. Zasova speculated that the project might be accomplished in 2026-2027. The Angara-A5 rocket will be used for the project. The mass of the space probe to Venus is estimated at 6.5 tonnes.